The Eureka Poker Tour kicked off its sixth season on March 2 with a 22-event extravaganza from King's Casino Rozvadov in the Czech Republic and Heinz, who is famous for winning the main event at the 2011 edition of the World Series Of Poker (WSOP) for $8,715,368, outlasted 15 others to claim the coveted title. The PokerStars-sponsored event from the small town near the German border saw six of the runners re-enter to create a total prize pool of €106,700 ($117,857) with Martin Kabrhel, Ivan Luca and Ognjen Sekularac also claiming a share of the spoils. 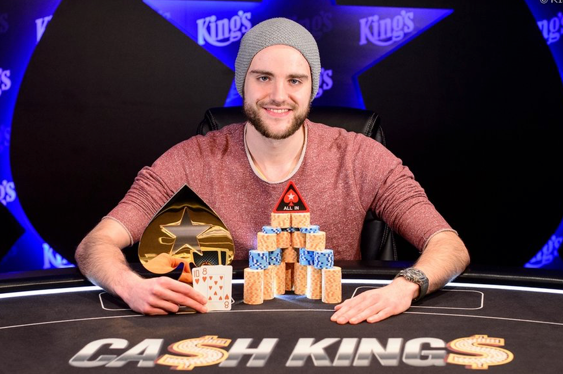 The win represented the eleventh live tournament cash of Heinz’ career but it was his first since March of 2014. Nevertheless, he still sits third on the list of Germany’s all-time money winners behind only Tobias Reinkemeier with $10,528,819 and Philipp Gruissem on $9,731,201. “I don’t play much anymore,” said 26-year-old Heinz.